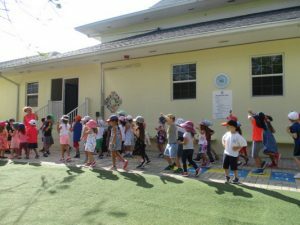 The children are busily marching through the spring months! They came back refreshed after their half-term break, and dove straight into learning about Great Discoveries and Exploration. We bravely headed south to Australasia, where we created Aboriginal art, pinned out kangaroos, learnt the parts of a koala, and discovered the many islands that make up this wonderful continent. 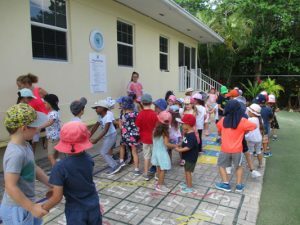 The children also got moving and grooving in March. We had a very special guest for Show and Tell: Nixon’s talented and energetic grandmother, who taught a fantastic dance class! It was lovely to watch the children dancing; there was some creative and very interesting movement happening! 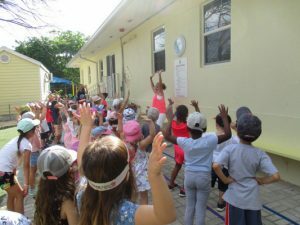 The recent weeks also brought an exciting opportunity for the children and teachers to eagerly share their work, as the school underwent an official inspection carried out by the Office of Education Standards. We must commend the children on their outstanding behaviour during the visit: they loved engaging with the inspectors and were very proud to share their work with them. 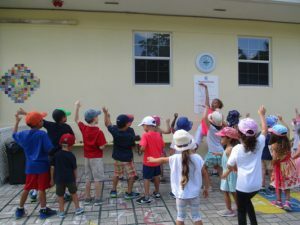 Throughout April, we are focusing on our precious planet, and learning about what each and every one of us can do to keep our Earth green.